This classic chair is ingeniously designed to create a sleek and compact closed profile - thanks to its unique auto-tip mechanism. When vacated, the Espace 628’s seat, back and armrests rotate into a very neat envelope. The whole action occurs naturally under gravity with no springs. This page shows the basic version of the chair. Enhanced versions include the Espace 628T, with a fold-away writing tablet, the Espace 628 High Back, and the Espace 628CC, our top of the range Espace model with a thick, pocket sprung seat pan, high back and elegant timber armrests. 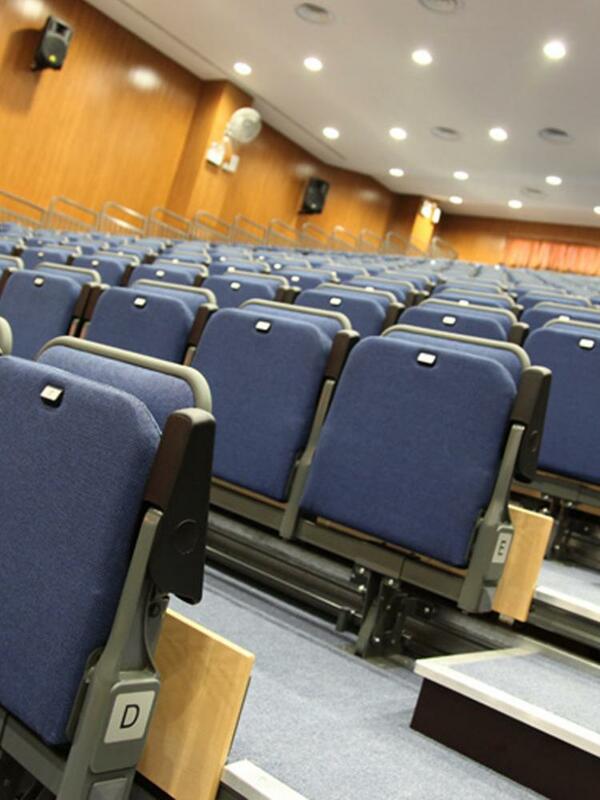 Available for use on TX Telescopic Platforms, on the removable matrix system or as a standalone fixed chair. 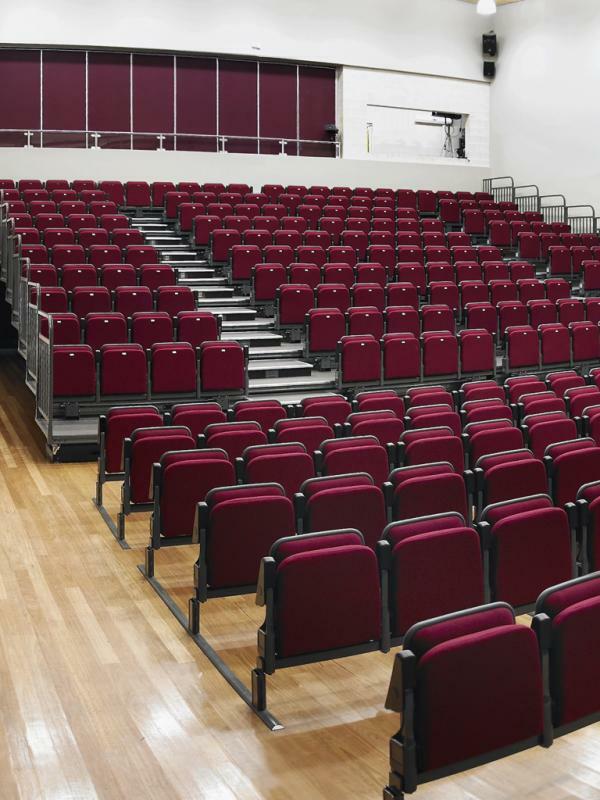 The highest test level of the British strength standard for ranked seating. No need for customers to fold armrests to pass, or for operators to tip them prior to operating retractable platforms. Geometry can also be adjusted for higher tiers to optimise comfort and support. Just 145mm deep (150mm with plastic protection panels). 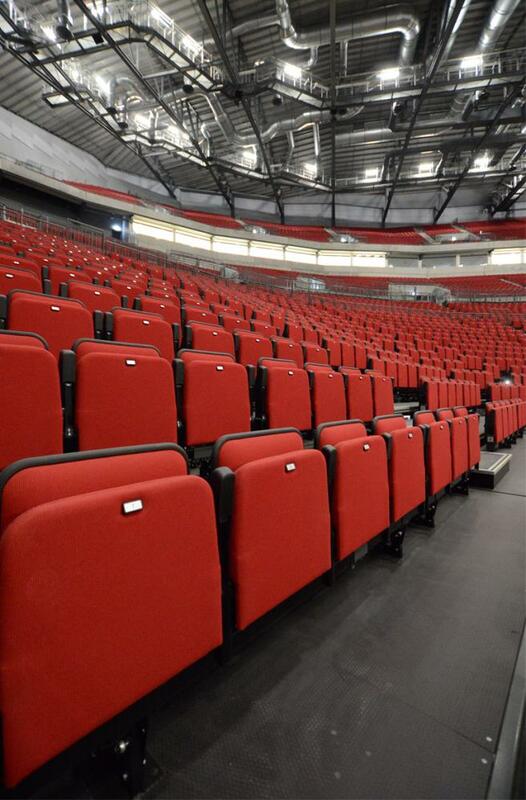 The small closed envelope is space efficient and creates generous walkways in front of the chairs. 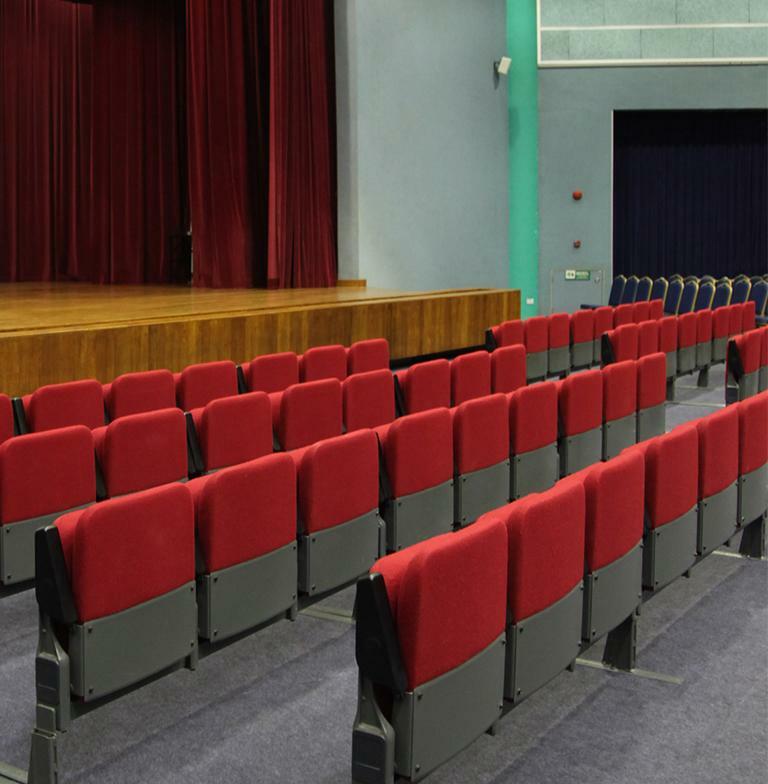 The Espace 628 is installed in hundreds of venues worldwide, in both traditional and contemporary settings. 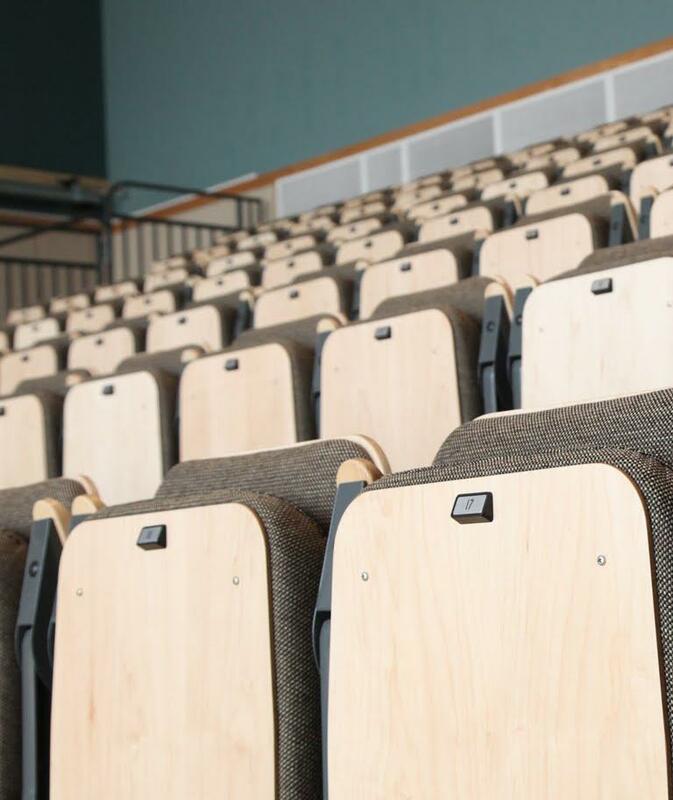 Optional plastic protection panels for the outer back and/or seat underside, adding extra resilience for sports venues, schools or arenas. The panels wrap right around the corners of the upholstery, significantly reducing wear. The fully upholstered version of the backrest also features a protective steel kickplate to the lower third. 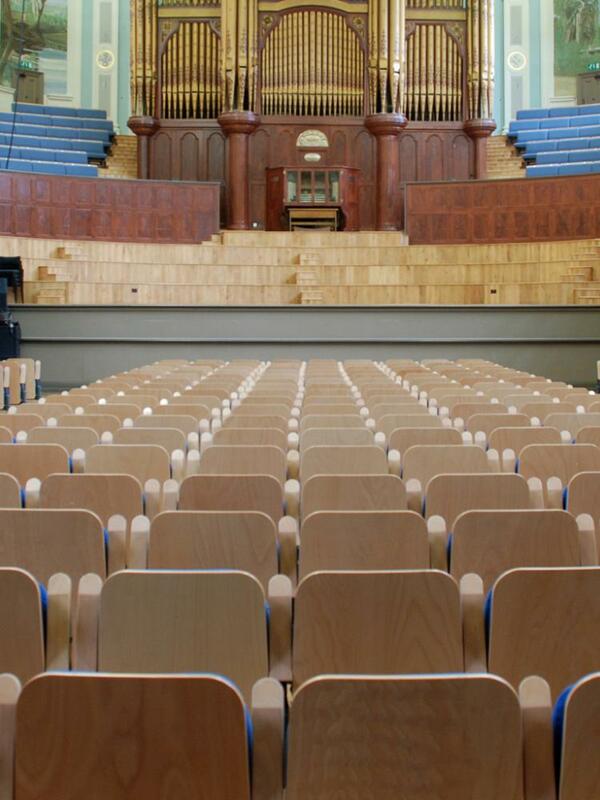 Standard seat specification is timber core with foam and upholstery. An optional sprung seat is available for additional comfort. ABS plastic, upholstered, timber, or curved timber. Seat numbering and aisle lettering. Various cupholder options are available; please discuss your requirements with us. In a standard Espace 628 design, the backrest moves down as the seat tips up to create a neat, upright closed envelope. 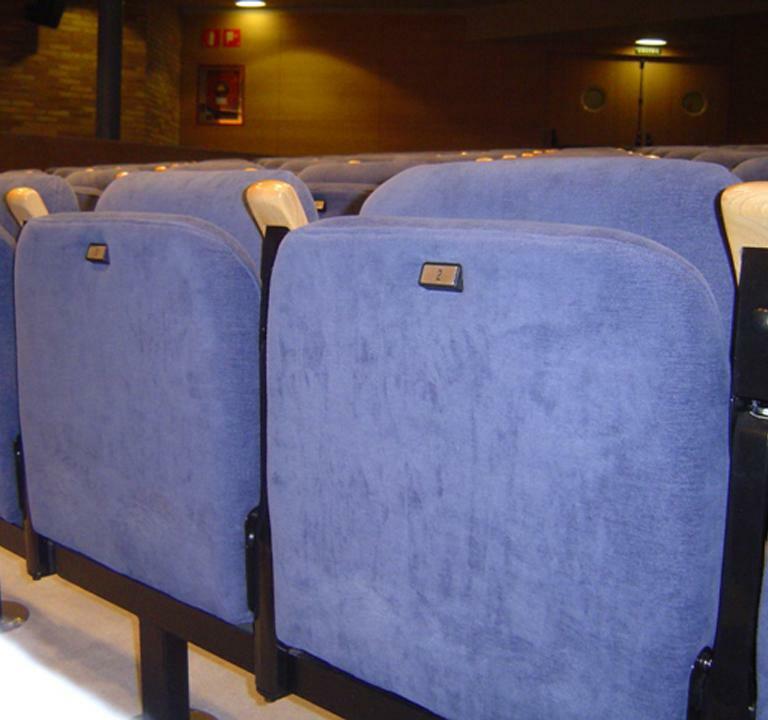 For some venues, a static backrest is more appropriate. 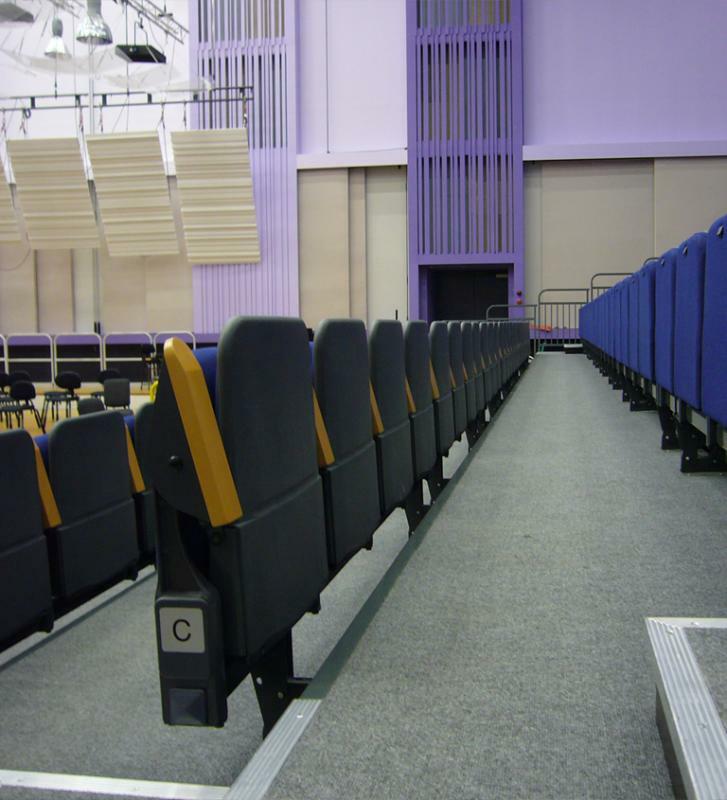 Optimises the sitting angle for patrons in the upper tiers of a theatre or arena. 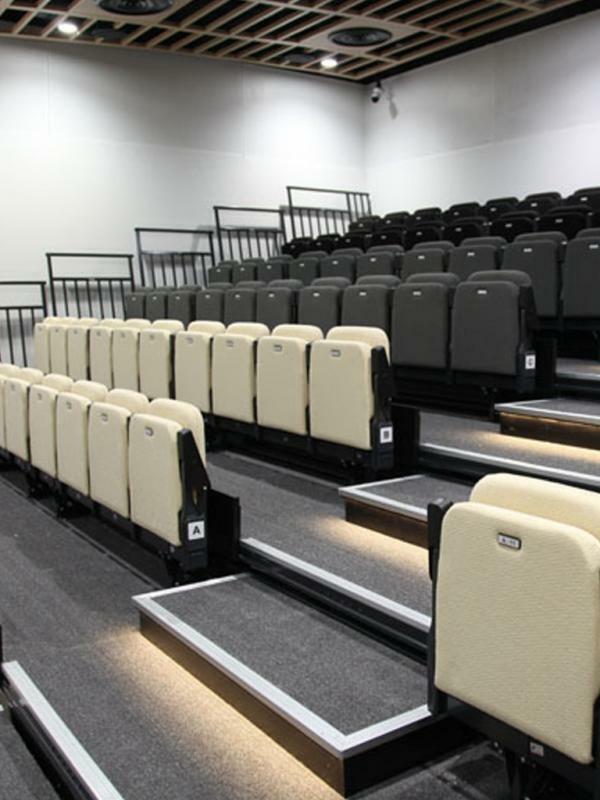 A variety of high specification options can be specified including plain, slotted or perforated timber panels for the outer back and seat underside. Enhanced versions of the chair include the practical Espace 628T with foldaway writing tablet, an elegant high backed version, and the luxurious Espace 628CC, designed for prolonged seating comfort. 480mm, 490mm, 500mm, 510mm, 520mm, 530mm, 540mm, 550mm.